Last weekend the missus and I were in Brandon, Florida. We were searching for a restaurant, in vain, because Google Maps provided outdated information, specifically that the highly-rated restaurant was no longer in business. We had just gone a side street, stopped at where the restaurant should have been, then resumed our search, going back down that same side street. 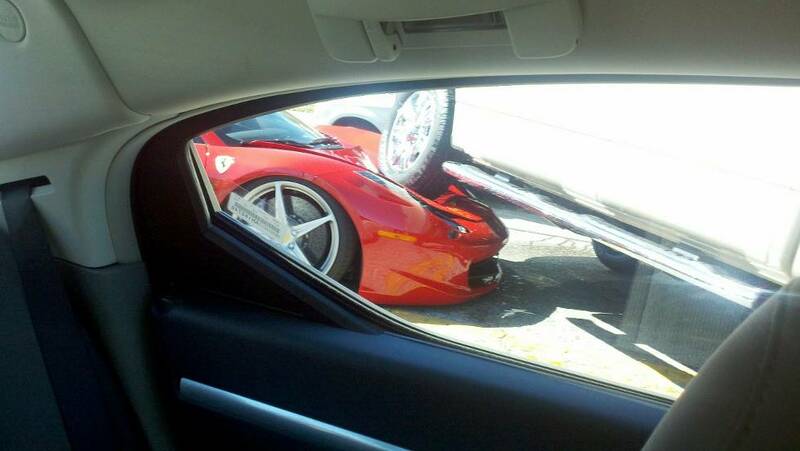 Evidently just minutes earlier a Ferrari had collided with a large pickup truck, resulting in the left front tire of the truck being parked in the center of the Ferrari’s hood. Does Google have photo recognition? How can it have “stale” information about restaurants, but be able to determine that the photo is of a car? And of a luxury car, that is, one that would be associated with Lexus, Lincoln and Acura? I think I know what actually happened. On another computer, while logged into Google, I searched YouTube for “Ferrari truck”, and Google associated that search with my profile, thus resulting in the advertisements for luxury cars.